Studies in humans and in mice have found that a protein released by fat tissues in response to exercise acts to improve glucose tolerance and has other beneficial effects on metabolic health. The research, headed by a team at the Joslin Diabetes Center, showed that levels of transforming growth factor-beta 2 (TGF-β2) increased in subcutaneous white adipose tissue (scWAT) and in the bloodstream during exercise. Reported in Nature Metabolism, the studies also found that treatment using the adipokine reduced blood lipid levels in obese mice, and reversed the detrimental metabolic effects of a high-fat diet in diabetic animals. 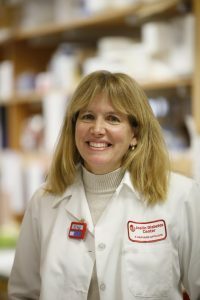 The scientists, headed by Laurie J. Goodyear, PhD, senior investigator and head of the section on integrative physiology and metabolism at the Joslin Diabetes Center and an associate professor in medicine at Harvard Medical School, suggested that TGF-β2 may even represent a potential treatment for high blood sugar, and feasibly even type 2 diabetes. 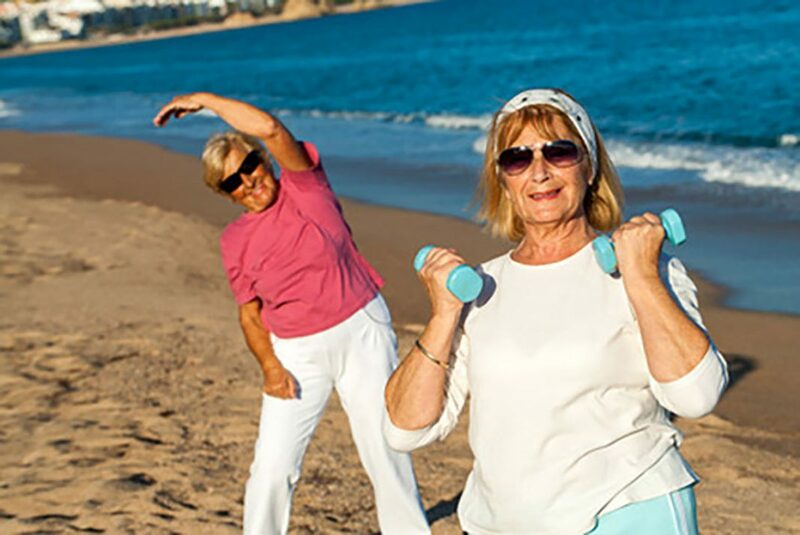 Exercise is known to improve health and wellbeing, and endurance exercise training represents an important, nondrug-based approach to preventing and treating metabolic diseases such as obesity and type 2 diabetes, the researchers wrote. The Joslin team had previously reported that exercise training has major effects on gene expression in the scWAT in mice, and increases the expression of more than 1500 genes. Studies have also shown that transplanting scWAT from exercise-trained mice into sedentary mice improves glucose tolerance and insulin sensitivity, and has beneficial metabolic effects on other tissues. “These findings led us to hypothesize that exercise-trained scWAT might have endocrine effects, inducing adipokines that mediate tissue-to-tissue communication and contribute to the improved metabolic homeostasis with exercise,” they noted. For their newly reported studies the team compared gene expression in the scWAT of both sedentary mice and those that trained voluntarily on exercise wheels. They also looked for changes in gene expression in the scWAT of healthy male volunteers before and after weeks’ of endurance cycling training. The results suggested that in both mice and humans, prolonged exercise training led to increased levels of TGF-β2 mRNA in the scWAT. Further tests in mice showed that exercise training led to increased levels of TGF-β2 protein in the blood as well as in scWAT, but not in other types of fat, the liver, skeletal tissues, or heart. Relatively high-intensity cycle- and/or resistance training also increased blood levels of TGF-β2 in healthy, middle-aged men. No other interventions tested—including cold exposure, or caloric restrictions—which are already known to affect scWAT adaptations, were found to impact on TGF-β2 levels. TGF-β2 is a member of the TGF-β superfamily, and regulates embryonic development, the team explained. However, whether the protein plays a role in obesity, type 2 diabetes, or in exercise training adaptations, hadn’t previously been described, the Joslin Diabetes Center team noted. Their subsequent experiments also showed that TGF-β2 could be used as a therapy to improve glucose tolerance in a mouse model of diet-induced obesity. Animals fed a high-fat diet (HFD) for 6 weeks and then treated using TGF-β2 for 9 days exhibited “robust improvements” in glucose tolerance and insulin sensitivity. And while TGF-β2 therapy didn’t change the obese animals’ total body mass, the treatment was linked with reduced adipose tissue mass, and lower total fat and visceral fat as a percentage of body weight. “Treatment with recombinant TGF-β2 caused marked effects in HFD-induced obese mice, including significant improvements in glucose tolerance and insulin sensitivity, a lower percentage of total and visceral fat content, and decreased circulating triglyceride and free fatty acid concentrations,” the researchers stated. Further biochemical tests implicated lactic acid, which is released during exercise, in the mechanism by which TGF-β2 is increased. Serum TGF-β2 concentrations were reduced in mice given a lactate-lowering agent over the course of 11 days of voluntary wheel running, and lactate inhibition also blunted the effects of exercise training on glucose tolerance. “These studies reveal a role for lactate in glucose homeostasis by stimulating TGF-β2 expression and release from scWAT,” the authors stated. The team suggested that while longer safety studies will be needed, TGF-β2 may represent a new therapeutic opportunity for treating obesity-induced insulin resistance. “This study uncovers a mechanism that underlies the effects of endurance exercise training in glucose and lipid metabolism, and provides perspective on exploring the lactate–TGF-β2 signaling axis to counteract obesity, type 2 diabetes, and other metabolic diseases,” they noted.